The Richardson Building was established in 1894. Richardson Memorial is a five story brick and limestone building. It is a example of the Richardsonian Romanesque style building. It was one of the first buildings to be constructed on the new campus. Though Tulane University was first established in 1834, it was not until 1894 that the Uptown campus underwent construction. 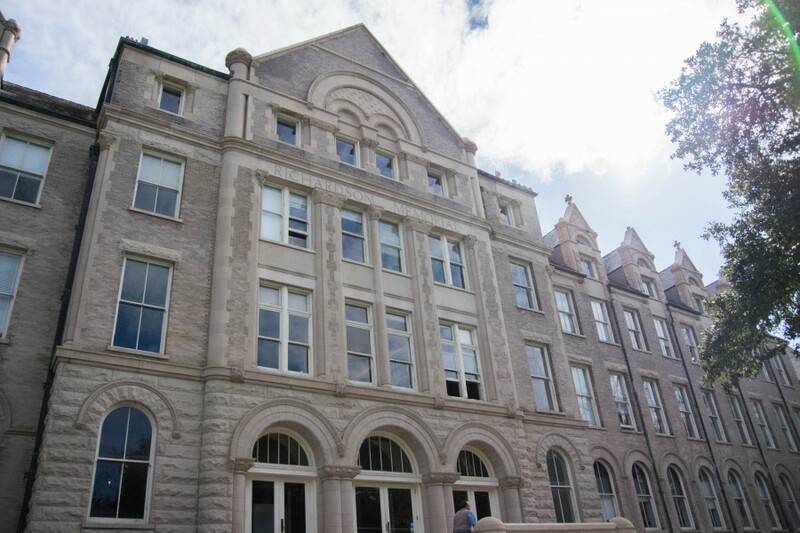 The institution was not officially called Tulane University until 10 years prior to the construction of the Uptown campus buildings, which have been renovated and repurposed over the years since Paul Tulane donated real estate to support education in New Orleans. Among the first buildings to be constructed on the new campus, F. Edward Hebert Hall and the Richardson Building were both established in 1894. Before additions were made to Richardson in 1908, these two buildings were identical structures positioned at slight angles to one another. Richardson, which currently houses the Academic Advising Center, was originally purposed to house the university’s chemistry laboratories. Hebert Hall, on the other hand, was designed to house Tulane’s Physics Department and “faces due south to take advantage of sunlight and to enhance the precision of magnetic instruments,” according to documents provided by the Office of Campus Planning. Dr. Richard Campanella, senior professor of practice in geography in the Tulane School of Architecture, said the laboratories formerly required equipment which needed to be calibrated to the magnetic north pole. By aligning Hebert Hall on a north-south axis and using the surrounding walls of the laboratory as reference, the equipment could be easily calibrated. “For this reason, today’s Hebert Building is the only one on campus that faces straight south. Once the designers made that decision, they also angled today’s Richardson Building to match the Hebert Building, in the interest of symmetry,” Campanella said. 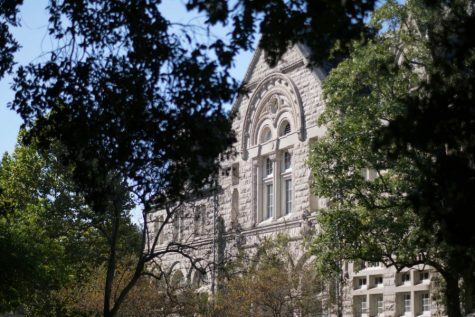 It is worth noting that F. Edward Hebert, the building’s namesake, was a vocal supporter of racist and anti-integrationist policies, and the Undergraduate Student Government has passed a resolution to rename the building. Next to the Richardson Building stands Richardson Memorial Hall. Both Richardson Memorial and Richardson Building were named in memory of Tobias Gibson Richardson, dean of medicine at the University of Louisiana. 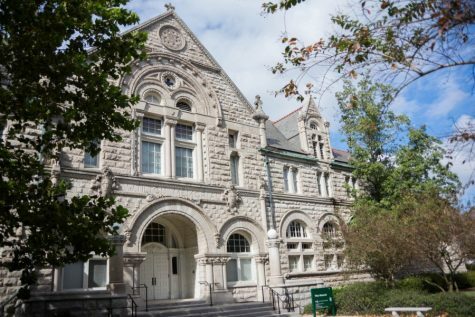 Constructed in 1908, Richardson Memorial Hall is currently home to the Tulane School of Architecture. Before it served as the architecture school, however, Richardson Memorial was Tulane’s School of Medicine. When the medical school moved to its downtown location, Richardson Memorial housed art and science classrooms. Gibson Hall houses senior level administration, the Office of Undergraduate Admission and the School of Continuing Studies. Constructed in 1894, along with Richardson and Hebert, Gibson Hall was named after Randall Lee Gibson, a Confederate general and senator from Louisiana. Gibson, much like Tulane, was known for his support of higher education, contributing to the university’s founding and serving as the first president of the University Board of Administrators. Gibson, however, was subject to criticism later on for his support of the Confederacy. According to Terrence Fitzmorris, an expert on the history of modern Louisiana and professor of practice in the School of Continuing Studies, Paul Tulane befriended Tobias Gibson, the father of Randall Lee Gibson. Located near Gibson and named after Frederick W. Tilton, Tilton Memorial Hall was originally built in 1902 to house the university’s library. A native of New Hampshire, Tilton was also a supporter of the Confederacy, and most of his property was seized by the Union. He regained his fortune through iron and hardware investments. Murphy Institute of Political Economy. Caroline Tilton, Tilton’s widow, wished to honor her husband by donating money to Tulane University to construct the library in his memory. Though the Howard-Tilton Memorial Library is familiar among Tulane students today, it would not exist until 1938. The Howard Memorial Library was named after its founder, Charles T. Howard. Howard was a Confederate soldier, and his war memorabilia is housed in Hebert Hall. At the time of the merger in 1938, the then Howard-Tilton Memorial Library was set to be located in Joseph Merrick Jones Memorial Hall, which was built in 1939 and stands across the street from its present-day location. Jones Hall housed the School of Law from 1969 to 1994 when the law school relocated. It currently houses the Special Collections and Archives of the Howard-Tilton Memorial Library.